On Mains to On Battery Transfer - The Back-UPS will switch to battery power if the utility input voltage level does not meet the under-voltage or over-voltage threshold, or if the utility input is experiencing voltage fluctuations, or if the input frequency is out of range. No Load Shutdown - The no load shutdown feature works when the Battery Saver mode is enabled and the Back-UPS is in the On Battery mode. 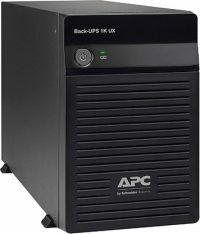 The Back-UPS will shutdown if the connected load draws less than 30 W of power for more than 5 minutes. Disable Battery Saver mode if only low power consuming equipment like ADSL-modem or wi-fi router is connected to the Back-UPS. To Recieve updates and possible rewards for APC BX600C-IN please sign in. To Recieve updates and possible rewards for UPS & Inverter please sign in.